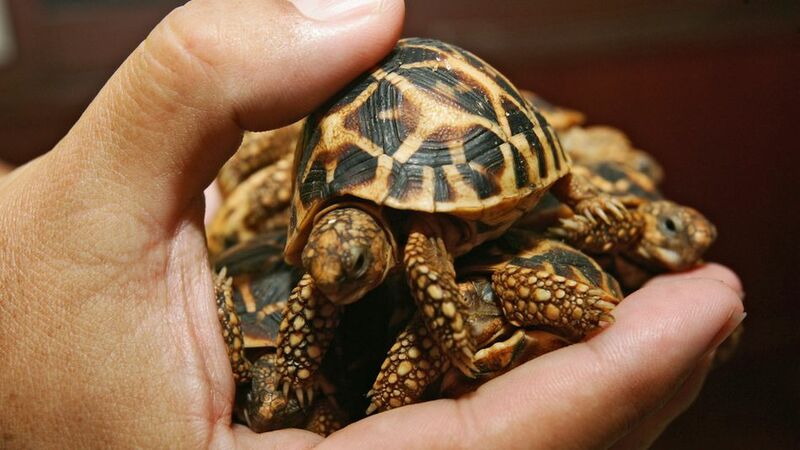 A Canadian man, Dong Yan, was recently arrested for smuggling 38 turtles from the US to Canada…in his pants. I’m not exactly sure what alerted authorities, but I suspect it is not easy to “act normal” when you have nearly 40 reptiles taped to your legs. Yan obviously knew what he was doing was wrong, but he just couldn’t help himself. I doubt many of you have any experience with smuggling reptiles in your pants, but I’d be willing to bet you’ve at some point hidden things from other people. There is that “thing” in us that allows us to set aside our morals, ethics, and personal standards of conduct in order to do what is pleasing in the moment. Even the Apostle Paul struggled with this very conflict. He says in Romans 7:21-25 that he finds “this law at work: Although I want to do good, evil is right there with me. For in my inner being I delight in God’s law; but I see another law at work in me, waging war against the law of my mind and making me a prisoner of the law of sin at work within me. This is the classic good vs. evil that plays in our heads every day. This is the angel on one shoulder and Satan on the other. Many people walk through our church doors each week with something hidden. It may be an addiction they’re ashamed of, a past they’re not proud of, or a broken relationship they’re hesitant to deal with. Whatever it may be, they just don’t want anyone to know about it. Chances are they, like Paul, know they shouldn’t do it, but they do anyway. Or they know they should, but they just can’t make themselves go through with it. Our job as Christ followers is not to be the spiritual police. Our job is not to uncover every secret or give every new person a moral frisking. Our job is to love them and minister to them until they trust us enough to share their hurt, habit, or hang-up. Our job is to love and forgive them just as Christ has loved and forgiven us. Our job is to make them feel welcome and safe to work through their issues along with the rest of us. Once they get to this point, we can witness the Holy Spirit change them from the inside out. I am so grateful to be a pastor at a church so full of welcoming, forgiving, understanding people who are willing to accept people for who they are, faults and all. The people of Fellowship of the Parks have been this way since I first attended in 2008 as an unbeliever with ALL KINDS of stuff to hide! I was accepted, unjudged, loved, forgiven, ministered to, and made to feel like I belong here. Thank you for helping our church create and maintain an environment where people can feel comfortable being themselves, sin and all, until their hearts are transformed by Jesus! If you do have a hurt, habit, or hang-up you need help with, please go to our Celebrate Recovery webpage by clicking HERE. **For the record, we do not condone smuggling reptiles or any other illegal contraband into Canada or any other country. Furthermore, I don’t suggest taping any animals to your thighs– for any reason whatsoever.